On July 26-30, the Hamilton Disc Golf Union (HDGU) will host one of the most unique disc golf events of the year. 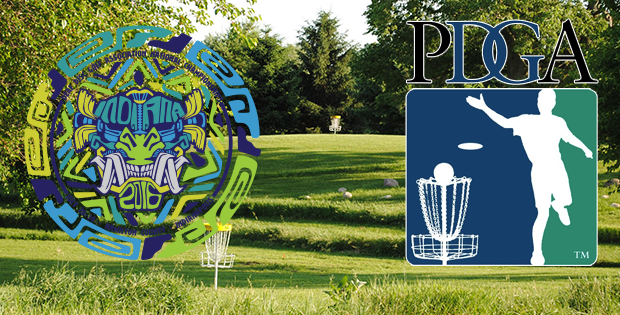 The HDGU, a nonprofit organization based out of Hamilton County, Indiana (just north of Indianapolis), will be running the 2016 Deaf Disc Golf Association National Championships presented by Prodigy Discs, an XA/XB-Tier. A record 150+ competitors are expected to attend, coming in from all over the country. It’s certainly come a long way since its first running in Austin, Texas 16 years ago. Local deaf disc golfer and HDGU member Eric Hamlow #58785 has the honorable role of Tournament Director for this year’s Deaf National Championships, something he’s been working on for three years now. “Back in 2013 in Springfield, IL where the Nationals were being hosted at the time, I put in my bid for Indiana to host, with the hopes that Indiana would have the National Championships for the first time. I won the bid by just one vote, and I’ve been working on it ever since,” said Hamlow.